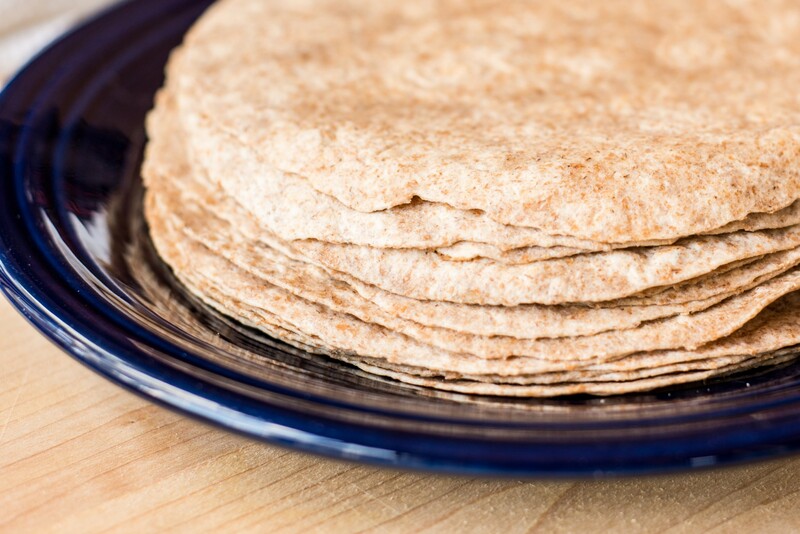 Our Sprouted Whole Wheat Tortillas are very similar to our Whole Wheat Tortillas in taste and appearance, but they have more protein and less gluten. They’re easier for most people to digest. They’re even nonfat. So go ahead. Splurge a little. 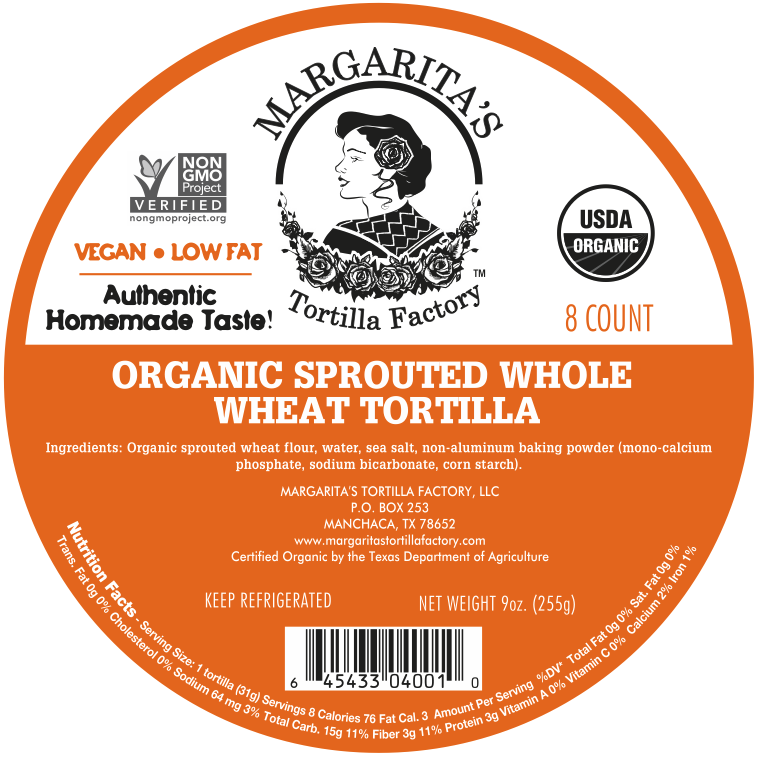 Organic sprouted wheat flour, water, sea salt, non-aluminum baking powder. Click on product label to enlarge. Copyright © 2019 Margarita's Tortilla Factory. All Rights Reserved.